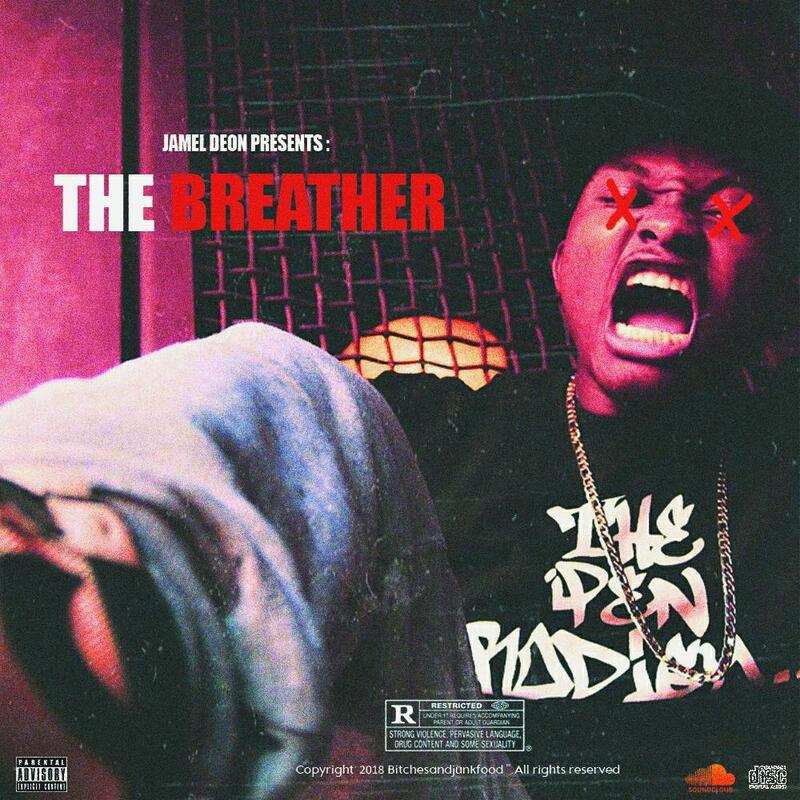 “The Breather” is a single by rapper Jamel Deon. On the Moshuun-produced track, Jamel Deon goes on a lyrical rampage as he unleashes his grit with every bar on the record. He showcases a glimpse of how Las Vegas rappers get down with the bars. He touches on various subjects such as bouncing back from bad situations, cutting toxic people out of his life, keeping a hustler’s mentality, and staying consistent. Jamel Deon strives to get people to turn up and let loose on this song as he flows effortlessly and passionately on this instrumental. Aside from soundcloud, the song is available to purchase and stream on all platforms. Jamel Deon Williams, better known as Jamel Deon or The Pen Prodigy is a rapper and spoken word artist from Las Vegas, NV. He is also a member of Las Vegas hip hop duo, Kinfolk Kollab. Although always having a passion for music since the age of 4, Jamel Deon didn't start taking rap seriously until the age of 14. He would proceed to release his debut mixtape The Pen Prodigy: The Missing Pages in 2014. In the following years, he would go on to release The Pen Prodigy 2: Writings On The Wall, No Hook, and Kinfolk Kollab: The Mixtape. During his senior year of high school, Jamel Deon made his debut with his first single, “Scared”, a remix to Drake's “Fear”, in 2014. He graduated from Legacy High School and would soon relocate to Phoenix, Arizona to attend Grand Canyon University. He graduated with a Bachelor of Science in Business Administration and a minor in Entrepreneurship in 2017. During high school and college, he would alternate spending time in Las Vegas and Phoenix. When not in the classroom, he used those times as opportunities to write and record music, work part-time jobs, and perform at both school events and local events.